A good deal that is current on the sufferings of Christ leads me to desire to draw attention to some simple yet important distinctions which it behoves us to make, as to their character and nature. 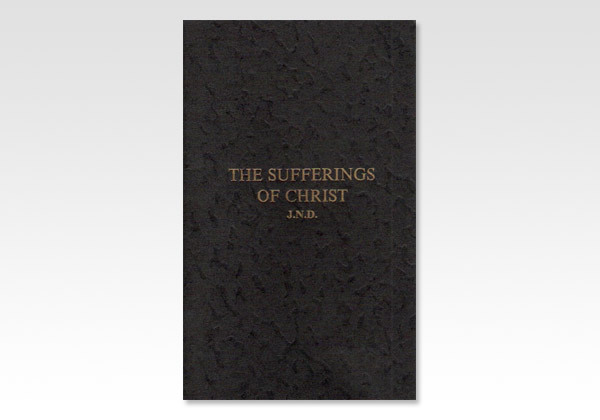 The sympathies of Christ are so precious to the soul; His entering into our sorrows in this world of moral woe, so comforting, so softening, and yet so elevating, that we cannot treasure too highly the realisation of them in our hearts, nor guard too carefully against anything that is spurious. That is the more important, because the character of His sufferings more or less connects itself with His person and nature.